Anyway, I have always preferred simple sneakers over sporty footwear with stripes and swoosh logos. 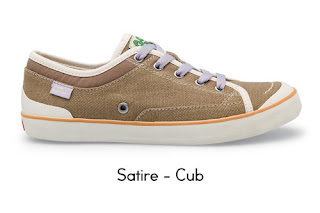 But the problem was finding a basic pair that didn't scrimp on style. 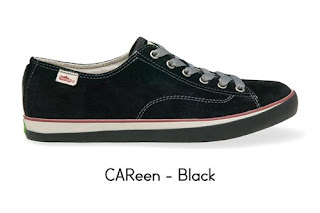 That's why I was very pleased to spot these babies online--all cool, clean and classic. 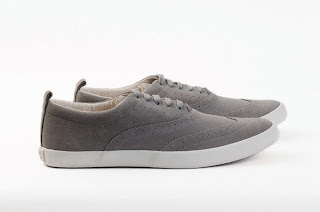 The High Top and Wingtip styles from Generic Surplus look quite sophisticated. The good news is our local Trilogy Boutique will be carrying these soon according to their website! 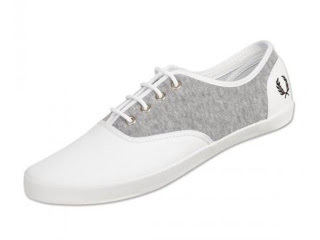 Fred Perry is also another hot brand you can find in Manila. Ooh la la. 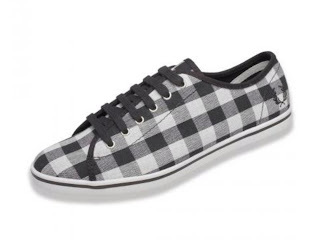 I'm really digging the gray and white Coxon Jersey shoe! Check them out at Megamall and Greenbelt 5. And how could I miss Simple Shoes? 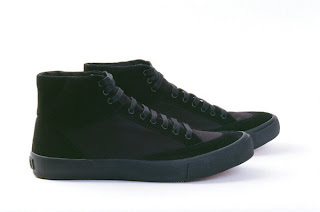 These are two of my fave ecoSNEAKS styles from last year. Can't believe I only spotted them online recently. The new designs are adorable, too. New silk versions in girly colors are coming out as well. They're the perfect finishing touch to sporty mini dresses! On top of that, buying a pair of Simple Shoes means donating another pair to those in need--read more about it in my previous entry! It's nice to play Sporty Spice with these cute, comfy sneaks!